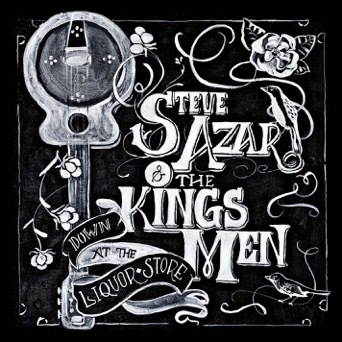 Steve Azar recruited a pretty impressive backing band for his latest album, Down At The Liquor Store, his first new release in five years. Azar recorded the new project, due out Aug. 11 on Ride Records, with The Kings Men, the group of top rate musicians who served as B.B. King’s backing band for years until his passing. The album’s title was derived from Azar’s experiences in his younger days helping his parents, descendants of Lebanese/Syrian immigrants, run the family business which served as a kind of community center for generations of Mississippians of all backgrounds and races. Down at the Liquor Store is accompanied by a full-length feature documentary Something In The Water. 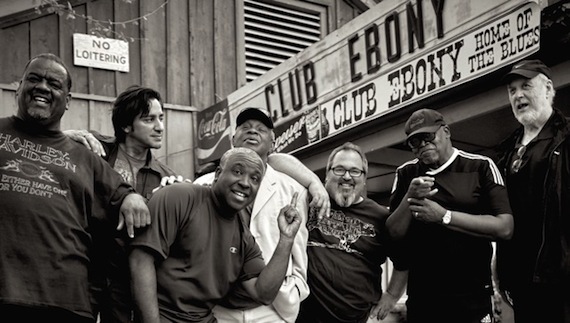 The film chronicles the making of the album and the trajectory of The Kings Men within the context of the Mississippi Delta’s worldwide musical influence. For Azar, the projects are yet another vehicle to spread the spirit and rich soul of the Delta region with the rest of the world. Mississippi is celebrating its Bicentennial this year and in connection with that, Steve has been appointed Music & Culture Ambassador of the State. In 2013, he co-founded the Mighty Mississippi Music Festival with this year’s edition set for the weekend of September 29 – October 1 at Warfield Point in Greenville.